Chapter 01- Blessed - "Chapter 1 Page 10"
Book Intro: Immortals give their Blessings to those they deem useful- fantastic powers for plans we cannot comprehend. 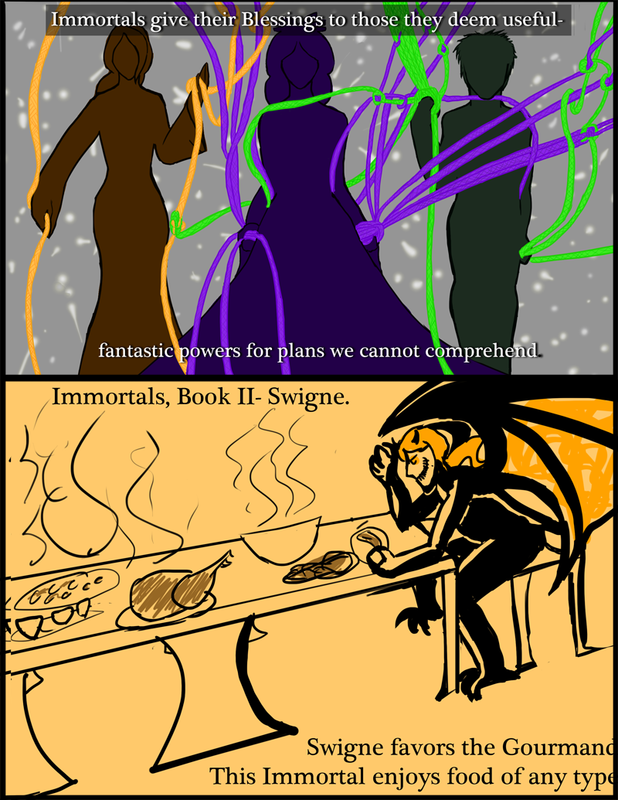 Book: Immortals, Book II- Swigne. Swigne favors the Gourmand. This Immortal enjoys food of any type.